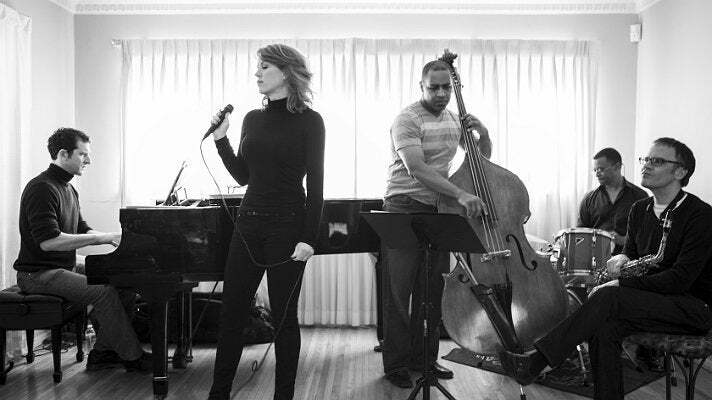 With her band, Ringwald has performed over 250 concerts in seven countries, including a set at the legendary Whisky a Go Go on the Sunset Strip. Read on for Ringwald's favorite hometown haunts and selected cover songs. 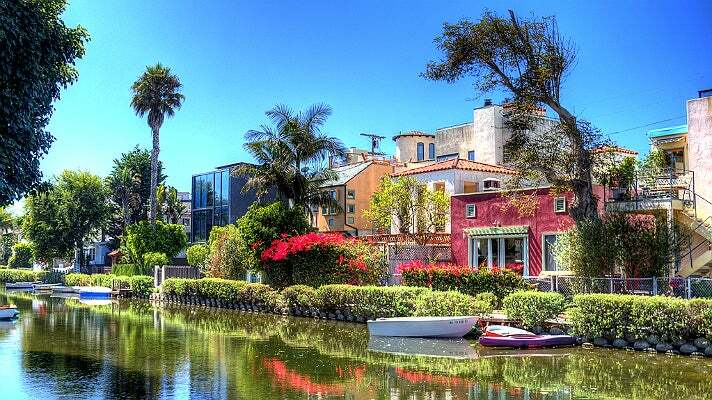 A true Angeleno, Ringwald spends a lot of time outdoors when she’s not working, taking in simple pleasures like the scent of the eucalyptus and jasmine trees found in the Hollywood Hills, or going for a run in the sublime canal streets of Venice. 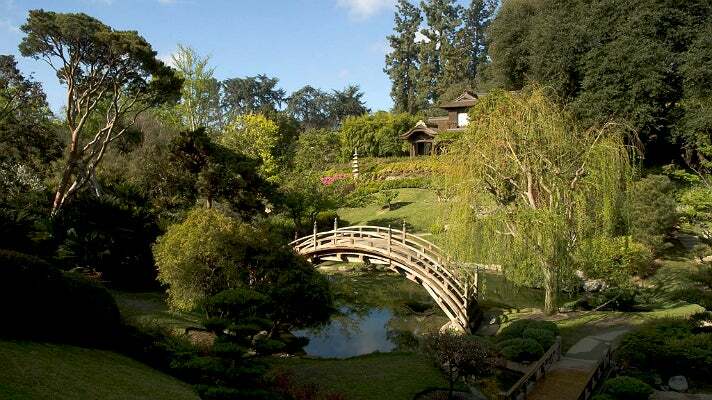 For a relaxing stroll, Ringwald recommends The Huntington Library, Art Collections, and Botanical Gardens. 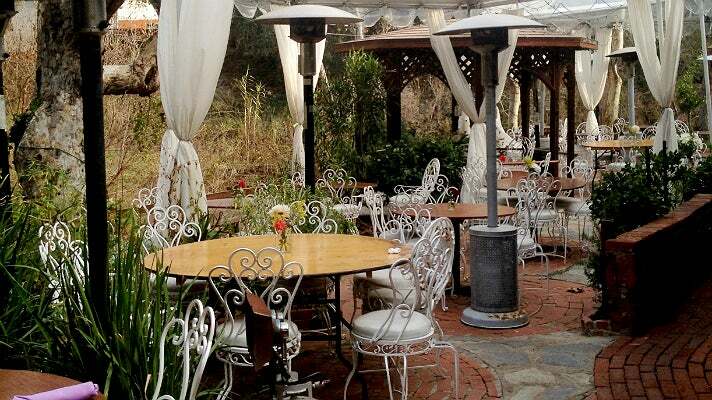 Stop for high tea in the rose garden, Los Angeles style - no dress code! While it’s a good bet that at least some of the three acres of roses will welcome you, be sure to check their website for what’s in bloom during your visit. The wisteria in March is especially beautiful as it frames the recently renovated Japanese Garden and farmhouse. Look out for Ringwald's favorite, the magnolia trees - she used to have one growing in the front yard outside her childhood home. “Hello Tree, it’s been a while!” The Huntington offers free admission on the first Thursday of the month. Studio City’s Mexican-American hot spot is Ringwald's favorite nostalgic hideout. 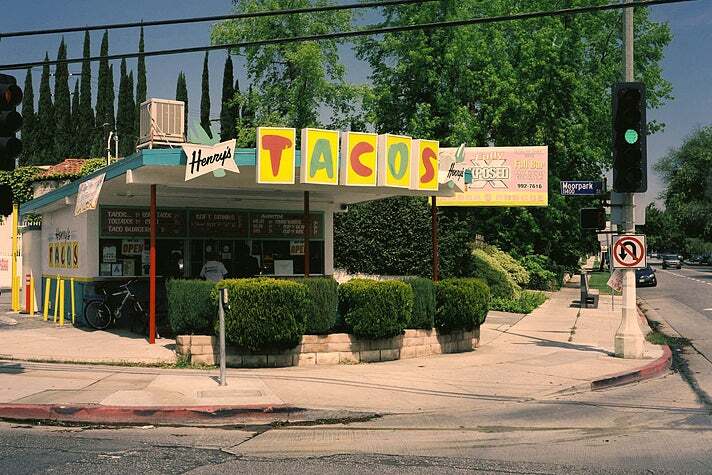 The original location of Henry's Tacos, with its iconic Googie-style architecture, was where she hung out in high school… instead of math class. “I used to ditch school and come here,” admits Ringwald. “Don’t tell my mom. Or my kids!” Opened even before the first Taco Bell, Henry’s famous hard shell tacos with tomato tucked in the side and topped with “yellow cheese" and “red sauce" is a must for longtime fans. Its family taco night – out! At the extreme opposite end of the food spectrum, there’s Ringwald's pick for a magical date night in L.A. What else can be said about the exquisite Providence, often described as L.A.'s “best” restaurant? Acclaimed chef Michael Cimarusti's Michelin-starred fine dining destination on Melrose delivers a delicious, creative seafood menu in a sophisticated setting. With warm service and inventive wine pairings, Providence is experience dining at its best that doesn’t alienate simpler tastes. 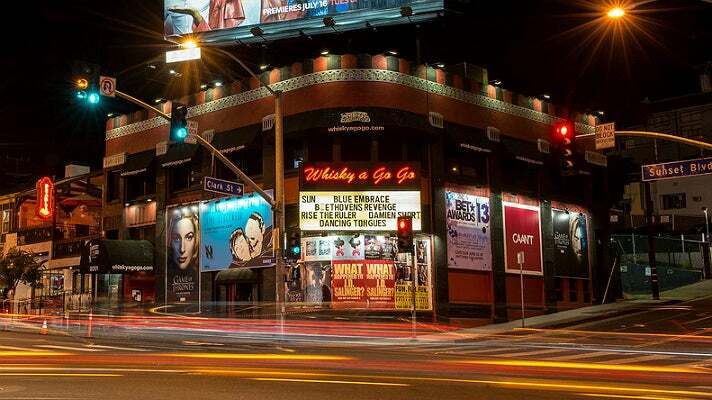 When in the Hollywood Hills, catch Mullholland Drive at Cahuenga and drive west to take a scenic tour that will include vistas of the Hollywood Sign, Downtown L.A., Burbank and the San Fernando Valley. “I’ve driven this hundreds of times and I still love it,” says Ringwald. “So peaceful and beautiful.” Mullholland will wind along the top of the mountains until it becomes an unpaved road not open to cars. Jump on your mountain bike and conquer the trails locally known as "Dirt Mulholland". 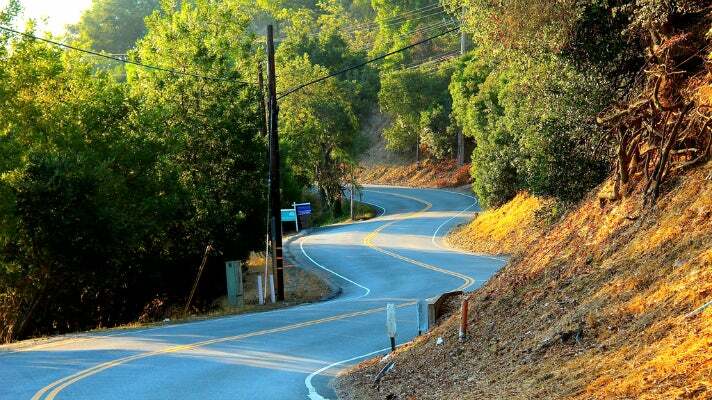 The road opens again east of Topanga Canyon Boulevard, all the way to the beach. 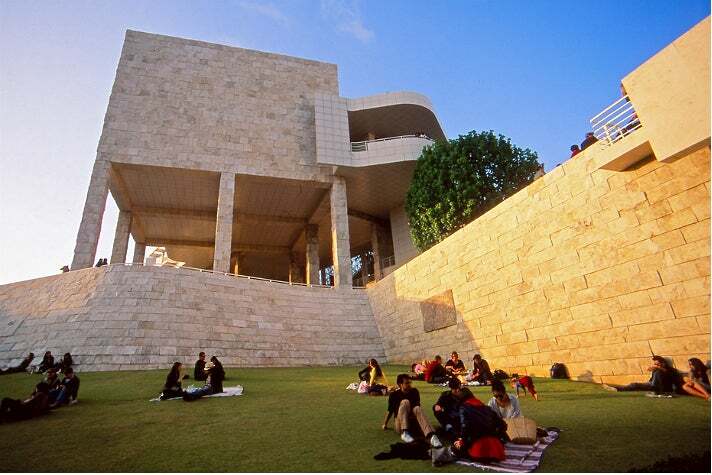 A short drive from Topanga is the Getty Center, which Ringwald describes as “staggering,“ and that’s even before you see the intriguing current exhibits or the masterful permanent collection. Set in the hilltops of the Santa Monica mountains, the Modernist complex and Italian travertine courtyard designed by renowned architect Richard Meier, offers some of the most sweeping views of Los Angeles. With regular music nights and art-centric events scheduled throughout the year, the Getty Center offers a serene day on the lawn that's simply unforgettable. 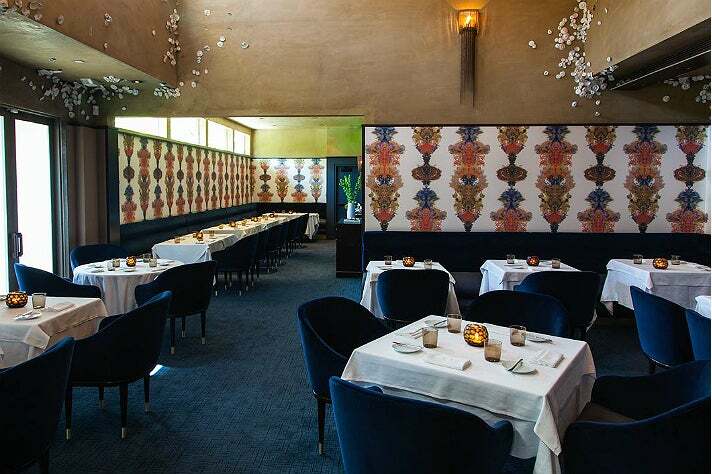 For a one of a kind dinner on the Westside, Ringwald makes the trek to the secluded Saddle Peak Lodge in Calabasas. Originally a pit stop for gold prospectors and more recently a star in many westerns and a 1959 episode of Perry Mason, it was - and still is - frequented by Hollywood insiders. It wasn’t unique to see members of the Rat Pack throwing buffalo bones out the back to feed the resident coyotes. 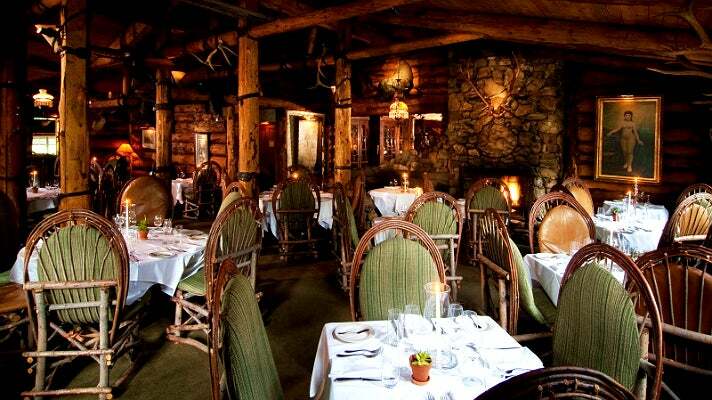 Now billed as a rustic, romantic mountain lodge, you can settle in for a luxurious evening staycation and dine on wild game, while enjoying their impeccable service and extensive wine offerings.